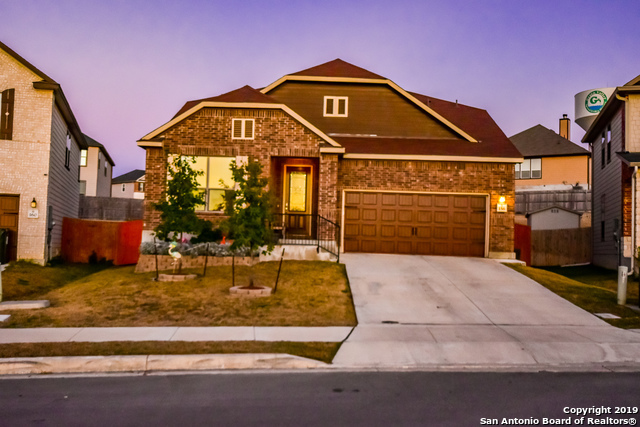 All LANDMARK POINTE - GUADALU homes currently listed for sale in Cibolo as of 04/25/2019 are shown below. You can change the search criteria at any time by pressing the 'Change Search' button below. "Welcome to Landmark Park! 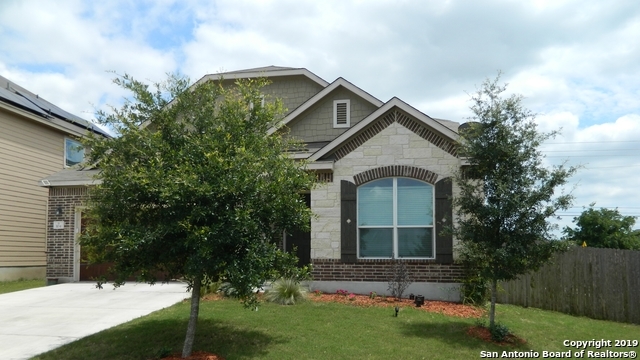 You'll love coming home to hardwood floors and granite counters. Open kitchen and living area with plenty of windows throughout. Need to hide evidence you've been shopping? There is plenty of storage & closet space! Owners have $17k in upgrades. Upstairs is perfect for guests with bdrm, full bath, living area. Covered patio and great backyard, and across the street from the park. Transferable 3.65% VA loan. Schedule a showing soon because this one won't be available for"
"Beautiful 4 bed/3bath home in Landmark Pointe neighborhood. Located on cul de sac with nearly quarter acre lot! Kitchen offers gleaming granite counters, SS appliances, rich Espresso 42 cabinetry. Light, open living and dining areas are ideal for entertaining. Formal dining or flex space overlooking living room. Private master suite down w/ double vanity and tile shower. Two secondary beds down. Spacious gameroom, full bath, and guest room up. Convenient to I-35, Randolph AFB, local shopping, an"